School College Hostel Management Software offers full features for accommodation that efficiently maintain a list of hostels, students opted for hostels, fees collection, room reservations, allotments and other facilities. This module reduces the number of staff involvements and reduces paperwork and it keeps a track of meal, repair and maintenance charges, etc. 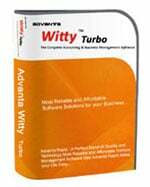 This software has been designed to effectively manage the entire process of admission. The foremost step for this module starts with admission process of students and it gathers all the details and lastly, available room is allotted to students and details are provided to them like the name of the hostel, warden name, room no. and charges. This module helps in keeping records related to a hostel like fees register, due fees, advance fees, etc. This module involves efficiently managing various aspects for hostels and it requires minimal staff to perform this action without any expert training. School/College Hostel Management Software is an important tool to maintain all the records for day scholars or hostellers. With an existing system, it’s difficult to manage hostel details as a lot of staff required and all is done is paperwork, which can take a lot of time and there is no security for the records. 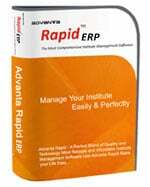 But with the introduction of Hostel Management Software in Advanta Rapid ERP, it becomes easier for school/ colleges to maintain data with full security in the single window only and no overwriting done for rooms once allotted. Easily records are maintained, which reduces paperwork, minimal staff involvement and less time required. Hostel module in Advanta Rapid ERP school management system, college management software, and institute management software is an essential feature that has come with the wide range of facilities in managing data of student details who have taken up hostel, room allocation, and the name of the warden for particular hostel taking care of. This management system helps the school, colleges or institution to easily track all the details, expenses, reports with a single click. The working of this software starts with the process of registration. Hostel facility can be availed by the student either at the time of admission or in between the session. The Hostel module is designed in a systematic way in which details of hostel charges are monitored. It manages the student details, room details, room allocation information, fee structure, mess bill and staff details of the hostel. Also, printing for fees receipt, mess charges can be customized. Hostel management in Advanta Rapid has the facility to maintain records for rooms that have allotted to students like which room is allotted to which student and at what charge. You can easily maintain a list to wardens with their full details like their address, phone number or email address in Advanta Rapid- Hostel Management Software. In Advanta Rapid, different reports are generated like you can get a list of wardens, students, mess or canteen register, hostel reports, etc. There are certain charges which are charged against hostel room, canteen or any repairs, etc. are recorded and monthly fees collected for hostel rooms are accurately maintained. In Hostel Module, you can list down the entire hostel’s name and easy to maintain records that which hostel has how many rooms and charges. Room information means all the information related to room like how many beds are there, rooms at each floor, charges and other facilities all are recorded with a single click and in a single window. In Advanta Rapid, you can maintain all the expenses that incurred on daily basis like repairs and maintenance. Need more information on School College Hostel Management Software? Contact us for a free demonstration of School/College Hostel Management Software.